Reduced and Priced to Sell Now!! Fantastic Porter Ranch Pool Home with Gorgeous Curb Appeal Situated on a Desirable Cul-de-sac Street in One of Northridge?s Most Desired Neighborhoods. 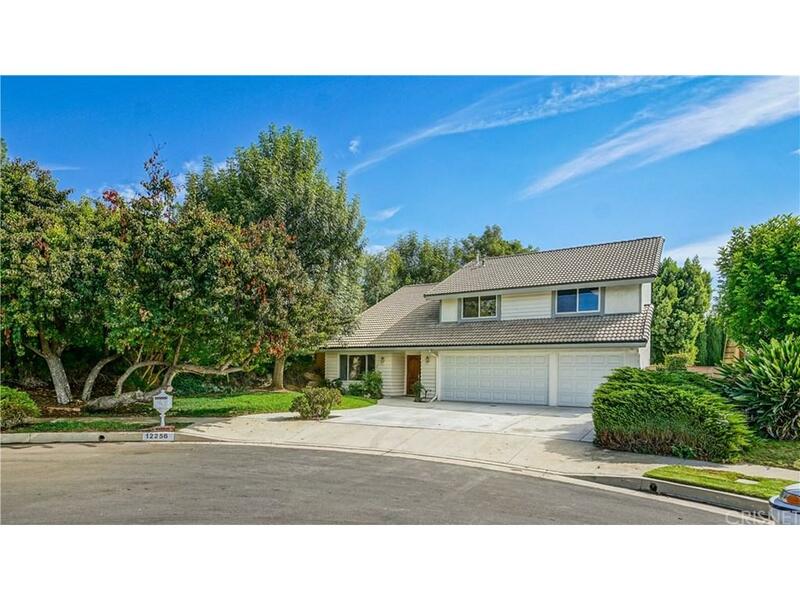 Home is walking distance to Castlebay Lane Charter Elementary and is also in Granada Hills Charter High School District. This Two Story Features 4 Bedrooms, 2.5 Bathrooms, Vaulted Smooth Ceilings, Dual Pane Windows, Fresh Interior Paint and Some New Exterior Paint, Plush Carpet and Gleaming Wood Floors, a Great Living Room, Separate Dining Area, Family Room with Bar and Fireplace overlooking a Bright Kitchen with Granite Counter Tops, Tons of Cabinet Space, Built-in Appliances and a Convenient Breakfast Bar. French Doors Open to an Entertainers Rear Yard with Relaxing Re-plastered Pool & Spa with Newer Pool Tile, and a Nice Patio Area. Expansive Master Suite with Sitting Area, Fireplace, Cathedral Wood Beamed Ceiling, Private Bath, Walk-in and 2 Wardrobe Closets. 3 Additional Bedrooms Upstairs with a Full Bath. Additional Amenities Include: Newer Central Air (2014) and Thermostat, Newer Concrete Patio, Driveway, Pool Deck and Pathways, Newer Drain Pipes from Back to Front, plus a 3 Car Garage with New Doors. Home is Walking Distance to ET Park and Hiking Trails.